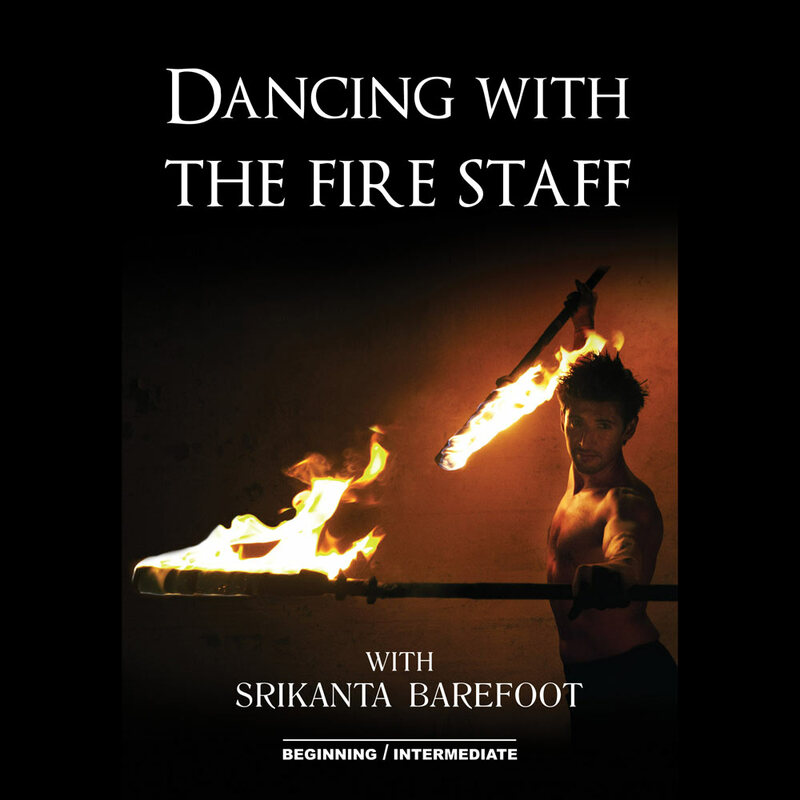 Dancing with the Fire Staff is an Online Instructional Video Series featuring ex Cirque du Soleil Fire Dancer & Dance-based Fire Dance pioneer Srikanta Barefoot. From basic to intermediate techniques, the series is a stand-alone tool for both beginners & experienced fire artists alike. Boasting 165 minutes of Video, 16 Instructional chapters, 4 choreography segments plus interviews & performances of top fire artists from around the world, Dancing with the Fire Staff is an endless source for learning & inspiration. The Series is available to stream & download exclusively from Fusion Arts. Just as there is no CD when purchasing music on iTunes nor a book when purchasing literature through Amazon's Kindle, there is no DVD when purchasing Dancing with the Fire Staff. The decision to release the product in digital form only is made in consideration of the environmental impact of printing & shipping. In addition to making the right choice for the planet, customers enjoy zero shipping costs & instant access to the series worldwide. Please stream or download the videos using a high speed internet connection. The video files have been made as small as possible while retaining the integrity of the image quality. Even so, streaming or downloading requires a dependable connection.